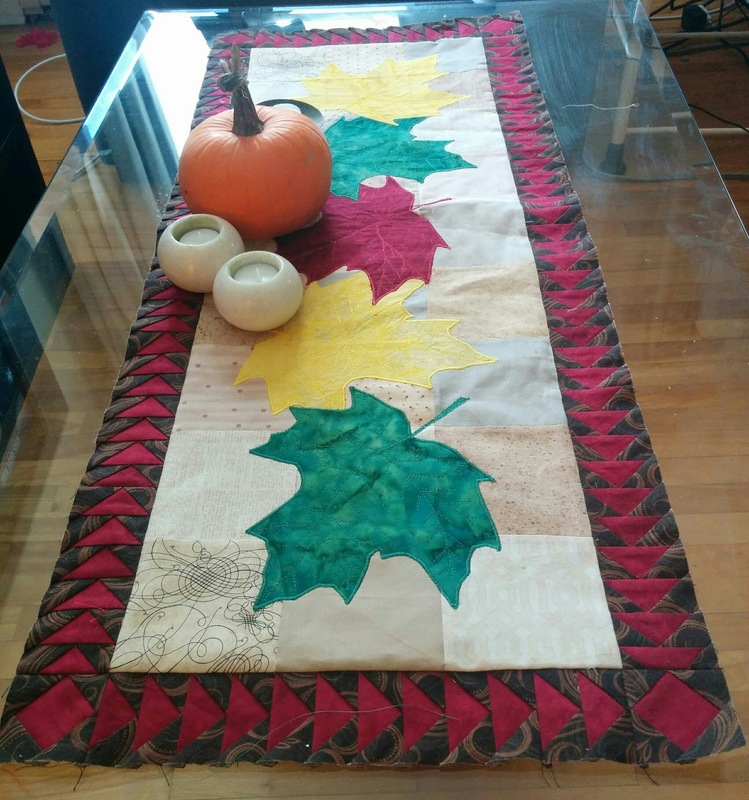 Ok it is minus 20 C outside but technically we are still in fall :) Still need to be quilted. lovely tablerunner wow minus 20 that so cold never gets that cold here fortunatly so far is has been mild. Nothing like frigid weather as an incentive to hunker down in the studio and quilt. Clearly you feel the same way. 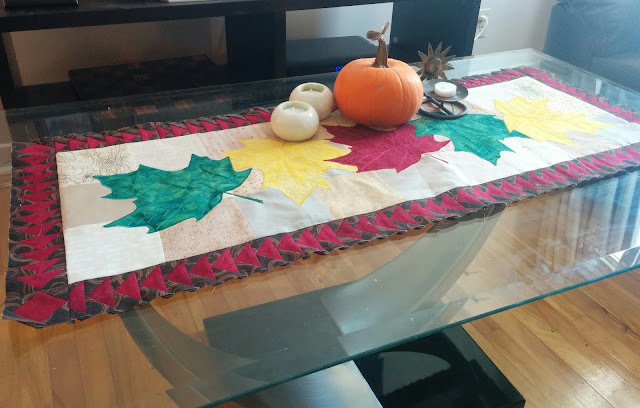 Lovely table runner. You've given me a reason to clean the clutter off the coffee table and to use up some leftover fabrics. Love those leaves. This is a beautiful table runner. 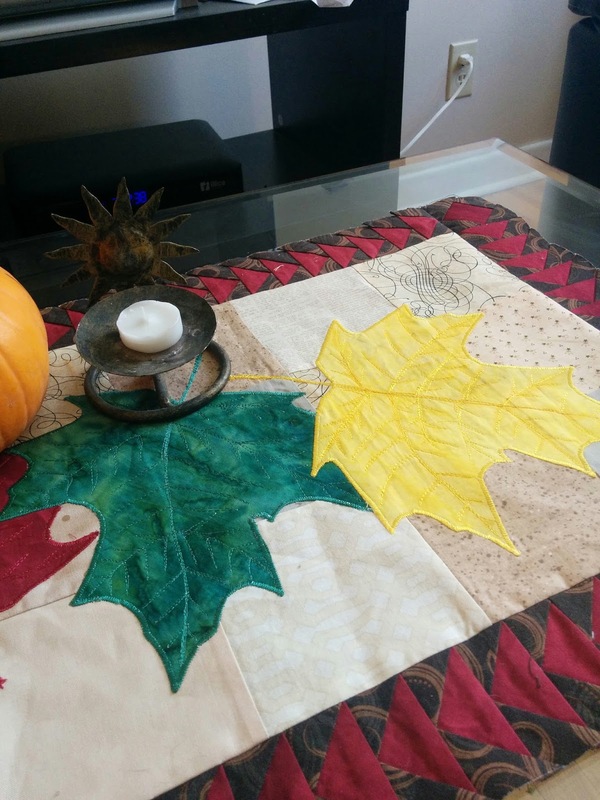 Yes technically we are still in fall so I say bring on the Maple Leaves!